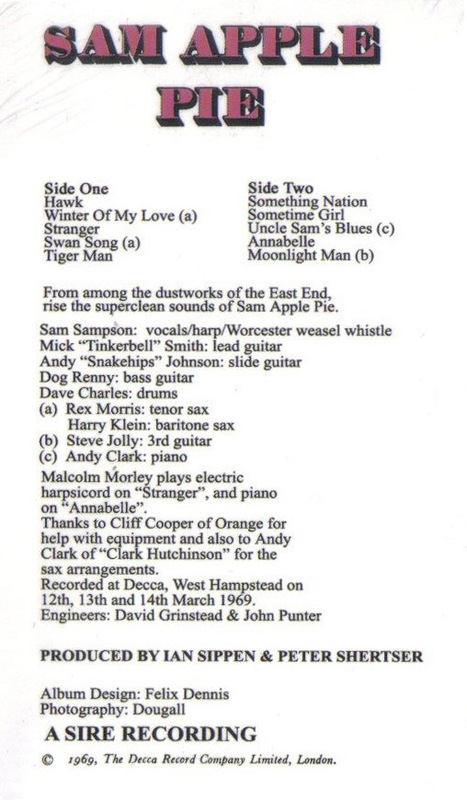 The question, which over the years has seemingly built into a myth, probably stems for the session Malcolm did for Sam Apple Pie for their first album. As the album notes correctly state, he played piano on ‘Annabelle’ and electric harpsichord on ‘Stranger’. And of course, one member of the Helps who WAS in Sam Apple Pie was Dave Charles! Dave played drums for them before leaving to joining up with Malc to form Help Yourself. This entry was posted on Thursday, September 7th, 2017 at 12:53 pm	and is filed under NEWS. You can follow any responses to this entry through the RSS 2.0 feed. Both comments and pings are currently closed.